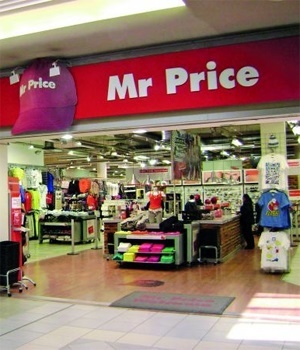 Cape Town – South African retailer Mr Price [JSE:MPR] was on Thursday referred to the National Consumer Tribunal by the National Credit Regulator (NCR) for being in breach of the National Credit Act. This followed an investigation by the NCR, which revealed that Mr Price charged consumers a club fee on credit agreements, the regulator said in a statement on Thursday. The charging of a club fee on credit agreements is not permitted by the National Credit Act, it explained. “The National Credit Act allows consumers to be given a quotation, which sets out the cost of credit before signing credit agreements,” said Nthupang Magolego, senior legal advisor at the NCR. "Consumers should request this quotation from their credit providers so that they can properly check the cost of credit that is being offered." Mr Price should refund the affected consumers the club fees charged and conduct an independent audit into its loan book to determine the number of consumers to be refunded, the NCR wants the tribunal to order. In addition, it wants the tribunal to interdict Mr Price from charging consumers a club fee on credit agreements and impose an appropriate administrative fine on Mr Price. Mr price shares were flat at R150 at 11:35 on the JSE. SUBS CRIBE FOR FREE UPDATE: Get Fin24's top morning business news and opinions in your inbox.